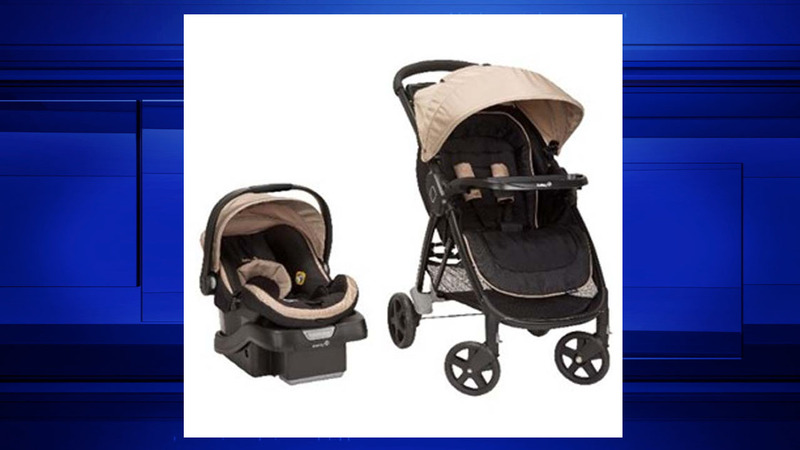 Close to 20,000 strollers recalled due to fall hazard. About 20,000 Safety 1st strollers are being recalled over fear that the front stroller tray may disengage from the car seat. Dorel Juvenile says the tray can come apart when the car seat is attached to the stroller, posing a fall hazard. The Step and Go Travel Systems stroller is sold in a variety of colors along with the OnBoard 35 infant car seat. The stroller, model number TR314, was sold at Babies R Us, Amazon.com and Walmart.com from May 2015 through June 2016. Anyone with the stroller should immediately stop using it and contact Safety 1st for a free repair at 866-762-3036.